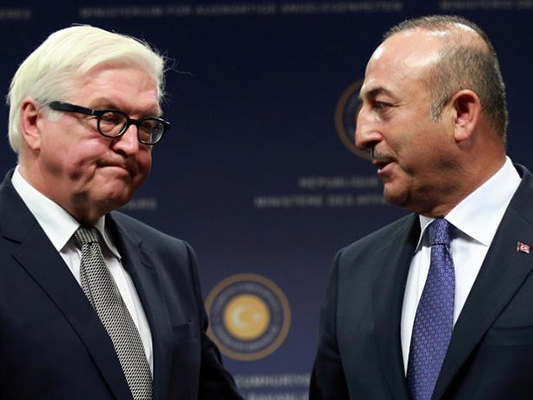 According to a report by Kayhan newspaper, Frank-Walter Steinmeier, the German Minister of Foreign Affairs, and his Turkish counterpart Mevlüt Çavuşoğlu had an “intense verbal dispute” during a joint press conference, insomuch that the session was left halfway. Çavuşoğlu brought a lot of accusations against his German counterpart, such as sheltering the members of Kurdistan Workers’ Party (PKK) militants, and preventing the extradition of those affiliated with [Turkish opposition figure] Fethullah Gülen’s movement to Turkey. Besides, Ankara has not forgotten the European Union`s deceptive behaviour on Turkey’s accession to the Union since 52 years ago, a matter mentioned by Recep Tayyip Erdoğan, the President of Turkey. According to ISNA, Steinmeier, a usually calm person, started to sharpen his tone as he felt attacked during the conference. Referring to the mass arrests in Turkey after 2016 coup d’état attempt, he invited his Turkish counterpart to be moderate; however Çavuşoğlu didn`t stop his verbal attacks.